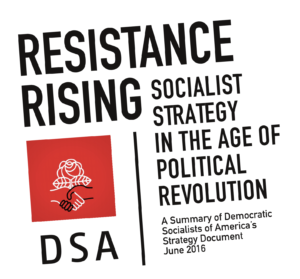 Join your local Democratic Socialists of America as we discuss the upcoming elections, Bernie Sanders, and the role we want to play in that process. As usual, there will be a 30 minute meet and greet with chapter leadership for anyone who has questions or wants to discuss socialism or anything else. 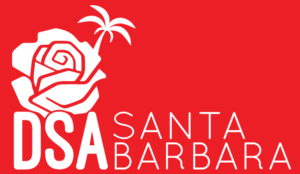 Santa Barbara DSA welcomes you to check out these other community events. 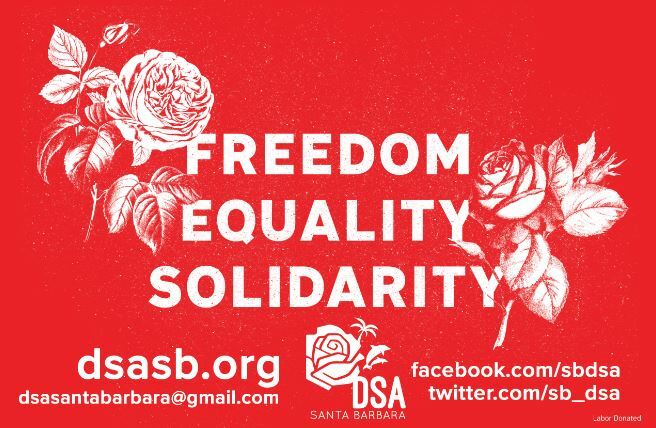 We encourage DSA members to play an active role in showing up for community actions and events, as well as educating yourself and making new connections. Please be mindful of how you represent our chapter. Please insert a link, if possible, to a page where the community can find more information about the event and learn more about your organization (e.g. Facebook event). Events must fit DSA’s and our community’s values to be approved. Please: no fundraising or for-profit events. 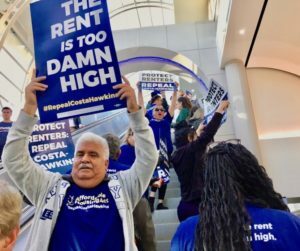 Read our Community Agreements (last approved 1/28/19). Read our current Bylaws (last approved 1/28/19). Celebrate and collaborate with local labor orgs through art, workshops, games, performances and more! Reclaim Isla Vista's history of revolution! Celebrate and collaborate with local labor orgs through art, workshops, games, performances and more! 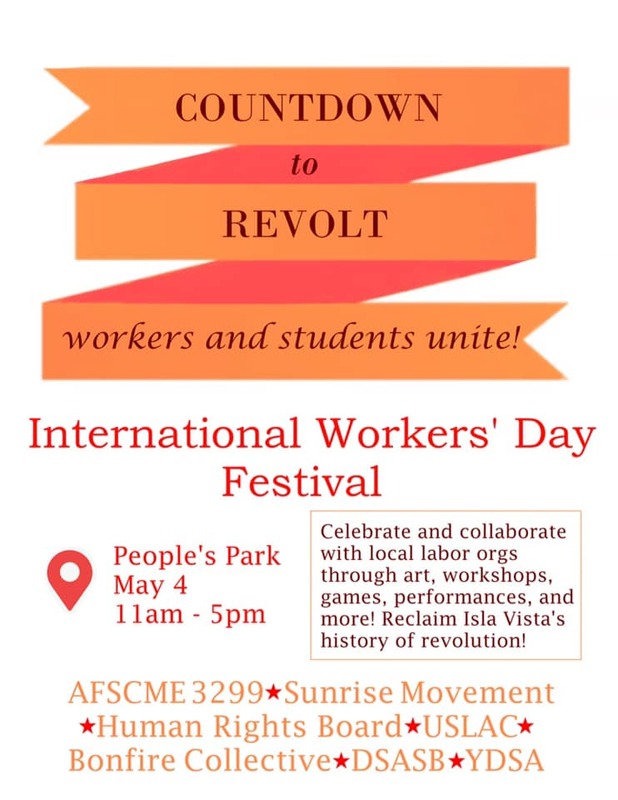 Reclaim Isla Vista’s history of revolution! Join us on Monday, May 6 to protest Exxon Mobil’s application to truck crude oil 24 hours a day, 7 days a week – up to 70 trucks a day! Join us on Monday, May 6 to protest Exxon Mobil’s application to truck crude oil 24 hours a day, 7 days a week – up to 70 trucks a day! – along dangerous coastal highways through Santa Barbara County. 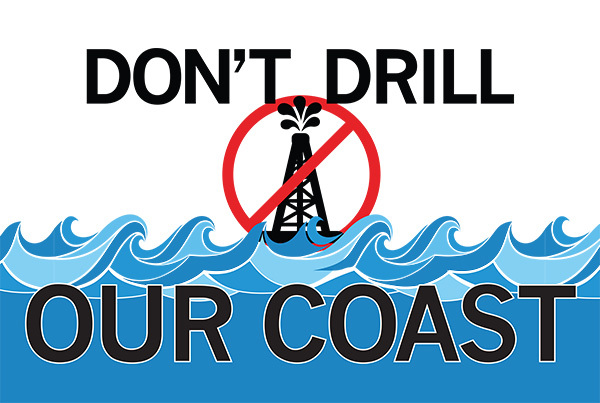 If Exxon gets its way, it would restart drilling from its three offshore oil platforms in the Santa Barbara Channel, all of which have been shut down since the 2015 Plains All American Pipeline oil spill. Californians shouldn’t have to choose between coastal oil pipelines and oil tanker trucks; both directly threaten our marine environment, coastal community and climate. There are many ways to get involved and / or support the work of our chapter and DSA, both regionally and nationally. Don’t miss out on important opportunities and announcements. Are you registered as DSA member?